As the future of energy management becomes today’s reality, SMA—which was recently named the no. 1 global provider of monitoring and energy management services by Navigant and GTM research—is investing in efforts to digitize commercial energy management and bring greater energy independence to customers. The company has introduced a new, future-proof generation of monitoring and control solutions with the Data Manager M.
In combination with Sunny Portal powered by ennexOS, an IoT platform that manages all energy generation sources and data on a single platform, the Data Manager M is the ideal solution for commercial system owners and operators alike. It optimizes communication, monitoring and control of decentralized PV systems for up to 50 devices, and with a new, highly efficient user interface, the Data Manager M is easy to set up and commission. The Data Manager M, which replaces SMA’s Cluster Controller, is a flexible and expandable solution equipped to enable business models of the future energy market. With intuitive setup functions for the Data Manager M and inverter, commissioning time and associated labor is significantly reduced. 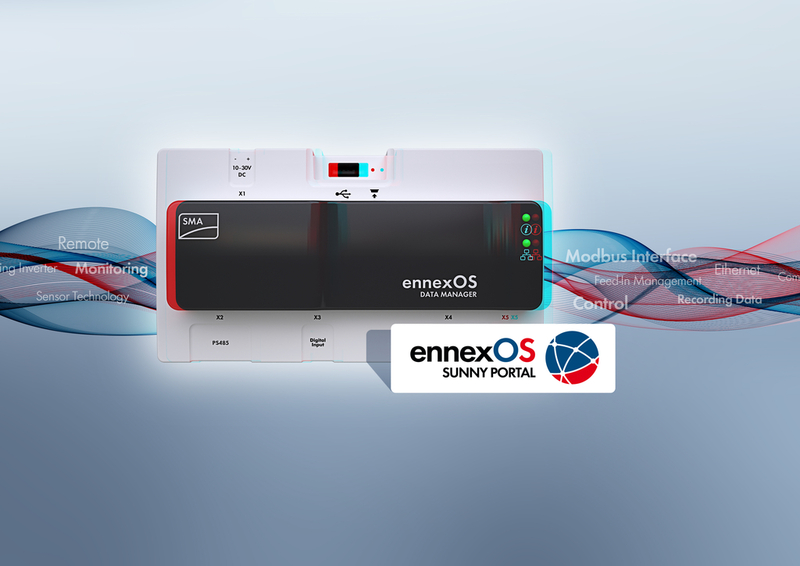 And, with ennexOS, system and inverter parameters can be changed remotely via Sunny Portal, further reducing costs.